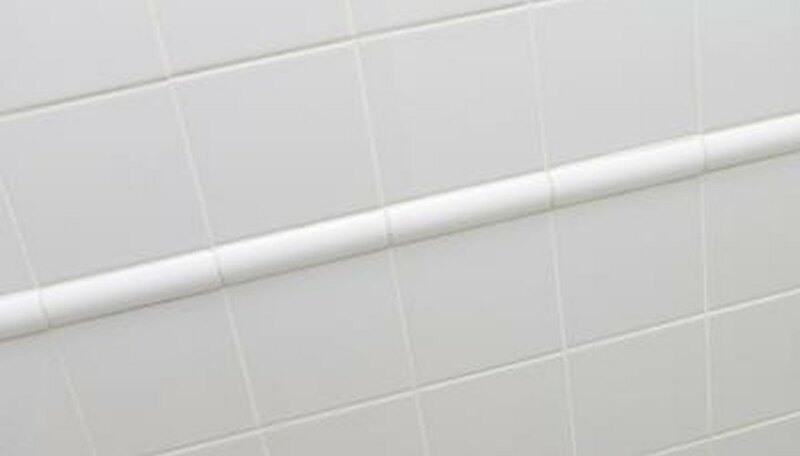 Tile provides a durable, water-resistant surface for bathroom floors. It lasts longer than linoleum and can increase the marketability of your home. Tiling a bathroom floor, however, involves more than simply laying tile. Before tiling a bathroom, especially a small bathroom, you should consider the appearance the tile gives your bathroom and how it matches or complements such things as the counters, your vanity, and other fixtures such as towel bars, sconces, or faucets. 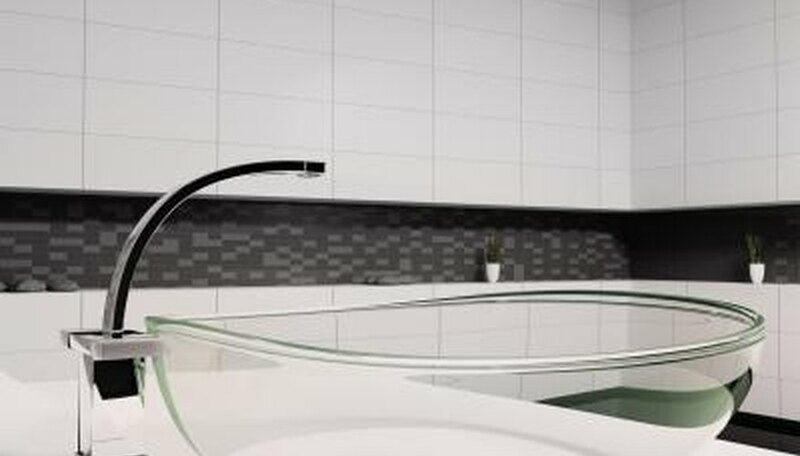 You should also select tile based on your emotions and how the tile makes you and your family “feel.” To select the best tile for your bathroom, simply follow a few guidelines. Select a tile size that creates the illusion of space. For instance, tiles usually come in small 2-inch, 4-inch, 6-inch, or 10-inch tiles. Average-sized tiles come in 12-inch tiles, and extra-large tiles come in 14-inch and 18-inch sizes. 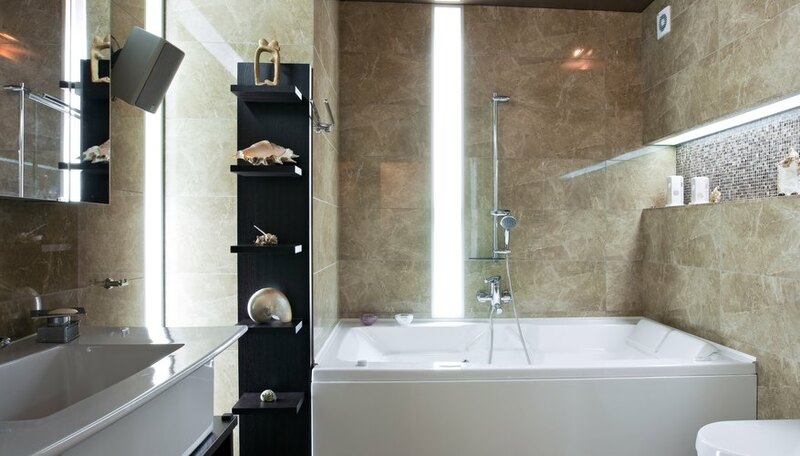 For small bathrooms, avoid small tiles, which create the sense of a small area. Instead, select larger 12” or 14” tiles. Select plain tiles or tiles with an uncluttered design. For instance, a thick mosaic could make a small bathroom feel frantic or busy. Conversely, tiles with fewer lines or open spaces of color will create a sense of calm. Select a color that enhances warmth. Warmth is the general feeling of friendliness or coziness that people feel as they enter a room. For instance, black and white tiles will create a colder, modern feeling. 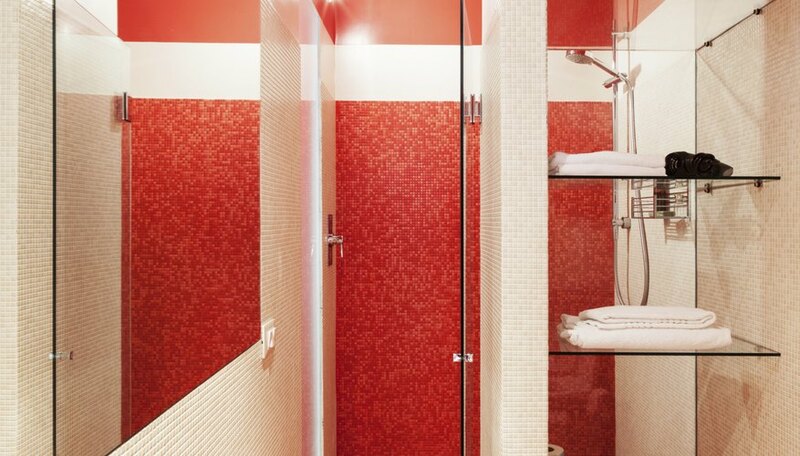 As an extreme example, black and blood-red tile could create a ghoulish feel. Light browns and tans, however, as well as soft blues or greens create a sense of warmth and welcome. Consider two sizes and patterns. For instance, small 2-inch tiles along the outside of the bathroom and serving as a border around larger tiles might disrupt the illusion of "extra" space, but the two-tile pattern can help increase the sense of warmth. Consider your design options carefully because mismatched patterns, solids with stripes, for instance, can create a hectic, unsettling feel. Consider tile brightness. Because light-colored or glazed tiles reflect a lot of light, they will have a higher degree of perceived brightness than darker or unglazed tiles. Reflections in the floor help create depth, which adds to the illusion of extra space. 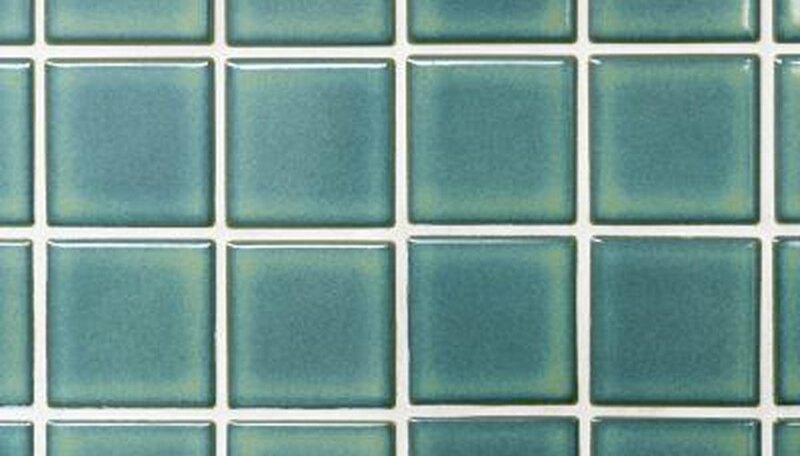 Consider whether you want glazed or unglazed tiles. Glazing is a protective coating applied over the tile. During hot showers, condensation gathers much more quickly in small bathrooms than it does in large bathrooms. 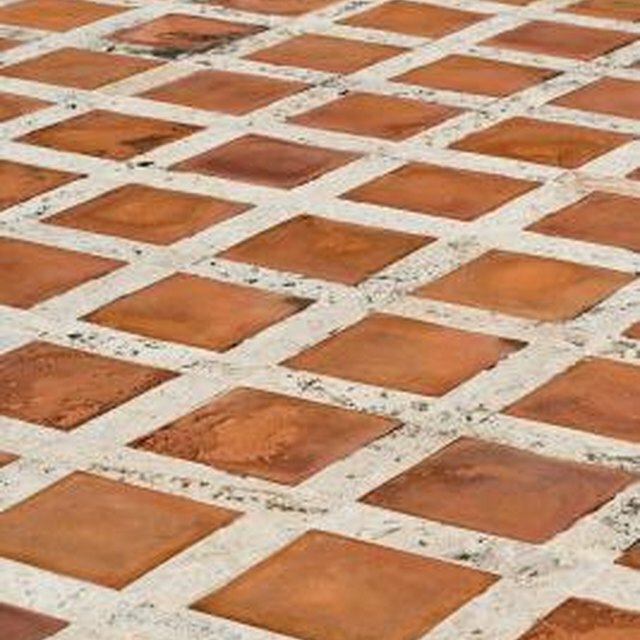 Glazed tiles can prevent water from pooling into grooves and cracks, which can lead to mildew. Decide what material you prefer. Tile comes in such material as stone, ceramic, or vinyl. Stone and ceramic tile can be very cold in the winter. Vinyl tile will be much warmer to your bare feet. Although vinyl might wear out sooner, it costs less and looks just as good. Stone and ceramic tile lasts longer but costs more. 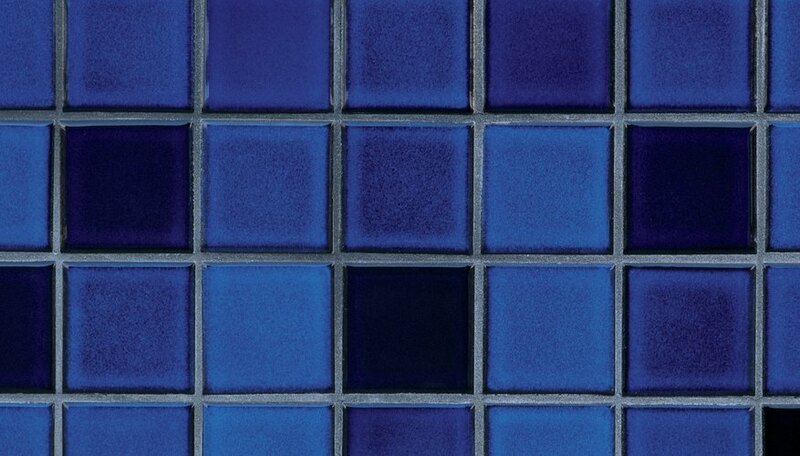 Select colors that your tile retailer regularly carries or can have delivered quickly. If you break a tile, which is common, or miscalculate your space and need four or five more tiles, you don’t want to discover your favorite tile has been discontinued. What Size Tile Should One Use in a Small Bathroom?